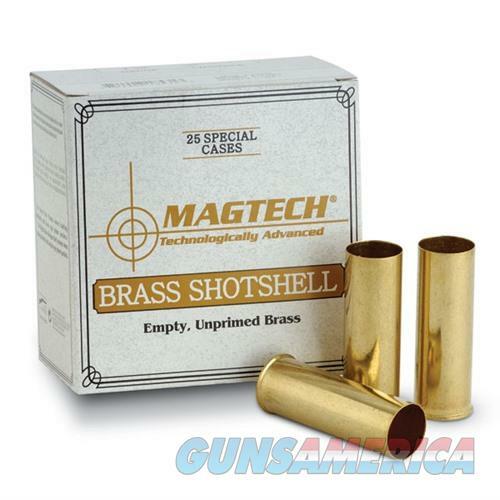 Description: Magtech Ammunition SBR20 Magtech Shotshell Brass 20 Gauge For over 80 years, Magtech has been dedicated to manufacturing and marketing top quality ammunition products throughout the world. The Magtech brand name is commercially recognized internationally and sold in more than 50 countries worldwide.All Shotshell brass uses large pistol primers. 12, 16, 20, 24 gauge to be used in 2-3/4" chamber. 28 & 32 gauge to be used in 2-1/2" chamber.